Fairly early in my course on Computational Psychology, I like to discuss Box’s (1979) famous aphorism about models: “All models are wrong, but some are useful.” Although Box was referring to statistical models, his comment on truth and utility applies equally well to computational models attempting to simulate complex empirical phenomena. I want my students to appreciate this disclaimer from the start because it avoids endless debate about whether a model is true. Once we agree to focus on utility, we can take a more relaxed and objective view of modeling, with appropriate humility in discussing our own models. 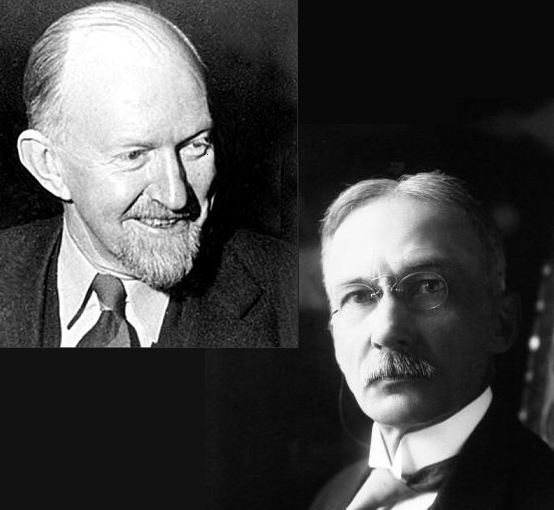 Historical consideration of models, and theories as well, should provide a strong clue that replacement by better and more useful models (or theories) is inevitable, and indeed is a standard way for science to progress. In the rapid turnover of computational modeling, this means that the best one could hope for is to have the best (most useful) model for a while, before it is pushed aside or incorporated by a more comprehensive and often more abstract model. 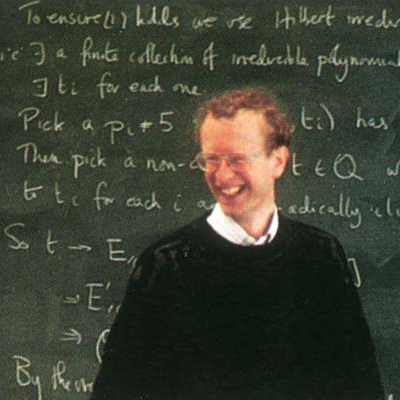 In his recent post on three types of mathematical models, Artem characterized such models as heuristic. It is worth adding that the most useful models are often those that best cover (simulate) the empirical phenomena of interest, bringing a model closer to what Artem called insilications. My preferred job title is ‘theorist’, but that is often too ambiguous in casual and non-academic conversation, so I often settle for ‘computer scientist’. Unfortunately, it seems that the overwhelming majority of people equate computer scientists to programmers or some general ‘tech person’, forgetting M.R. Fellows rallying cry: “Computer science is not about machines, in the same way that astronomy is not about telescopes.” Although — like most theorists — I know how to program, the programming I do is nothing like what (I hear) is in industry. In particular, all of my code is relatively small and with concentration, or maybe a single sheet of paper, I can usually keep the whole thing in my head. In fact, the only time I’ve worked in a large code base was developing extensions for MediaWiki during my first summer of college to be used by some groups at the Canadian Light Source. Combined with the preceeding semester of drawing UML diagrams and writing up req&spec documents, I was convinced that I would never be a software engineer. However, I did learn a valuable lessons: real world projects are big and unwieldy, logistics have to be taken seriously, comments and documentation are your friends, and for a sufficiently large software project there is no single person that knows the whole code. With that much unknown, it is not surprising that bugs abound. Even back in 2002 software bugs cost the US $59.5 billion annually or 0.6% of the GDP, and I imagine the cost has only gone up. If you count ultrafast extreme events or flash crashes of automated hight-frequency traders as bugs, then some argue that you have part of our recent financial crises to blame on software errors (Johnson et al., 2013). 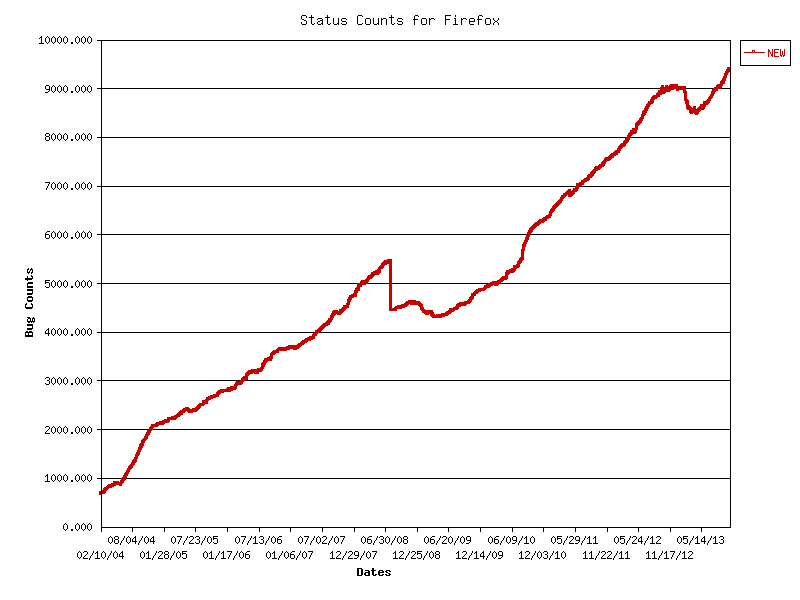 To get a feel for the numerosity, a big project like Mozilla Firefox can easily get 2000 new bugs in a year (see figure at left), and Yet most of these bugs are not particularly difficult, and don’t require major overhauls to fix. Even the most serious failures can be fixed by a 12 year-old, why not let evolution have a go? Mathematics has a deep and rich history, extending well beyond the 16th century start of the scientific revolution. Much like literature, mathematics has a timeless quality; although its trends wax and wane, no part of it becomes out-dated or wrong. What Diophantus of Alexandria wrote on solving algebraic equations in the 3rd century was still as true in the 16th, 17th, or today. In fact, it was in 1637 in the margins of Diophantus’ Arithmetica that Pierre de Fermat scribbled the statement of his Last Theorem. that the margin was too narrow to contain. In modern notation it is probably one of the most famous Diophantine equations with the assertion that it has no solutions for and as positive integers. A statement that almost anybody can understand, but one that is far from easy to prove or even approach. 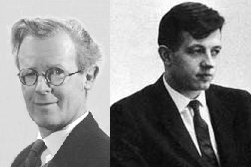 John Maynard Smith and John Forbes Nash, Jr.
Or we look at the contrapositive: a strategy can invade a host strategy if (1) it has a better payoff in a population of s than s have against themselves, or (2) if they are neutral then a small population of benefits themselves more than they benefit the host population. If some strategy has no invading strategy then it is an evolutionary stable strategy. If you are an observant reader and familiar with classical game theory then you probably noticed that the first condition of the direct definition is equivalent to the definition of a Nash equilibrium (NE). The second clause joined with an “and” means that every NE is an ESS, but not every ESS is an NE. However, that second condition seems innocuous enough, surely it can’t change the the qualitative nature of the equilibrium concept? Although this blog has recently been focused on static fitness landscapes and the algorithmic lens, it’s url and a big chunk of the content focuses of evolutionary game theory (EGT). Heck, I even run a G+ community on the topic. If you are a biologist and asked me to define EGT then I would say it is a general treatment of frequency-dependent selection. If you were a mathematician then I might say that it is classical game theory done backwards: instead of assuming fully rational decision makers, imagine simple agents whose behavior is determined by their genes, and instead of analyzing equilibrium, look at the dynamics. 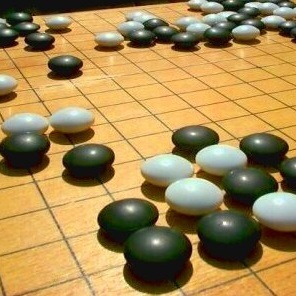 If you are a computer scientists, I might even say to look at chapter 29 of your Algorithmic Game Theory book: it’s just a special case of AGT. However, all of these answers would be historically inaccurate. I have an unreasonable love of alliterations, so I wish I knew a common word for automata that started with P. I even considered calling this post “Paralleilism, Products, Producers”, but feared introducing non-standard nomenclature and confusion into Professor Prakash Panangaden’s class. Hence, the current title; not too bad? If we count “and automata” as an alliteration then I can claim to have introduced an example of parallelism as used in rhetoric right in the title. Unfortunately, the post’s on parallelism in processing; sorry, having too much fun. Proving that the left half of a regular language is regular was the hardest question on the first assignment. It was also challenge for me as a TA, because I couldn’t find many avenues for hints and advice that didn’t reveal the answer directly. From grading however, I was impressed by the number of students that solved it, but a bit disappointed by those that Googled “half of a regular language” and clicked on the first result like Ben Reichardt’s notes. Since there are solutions already online, I decided that I can give answers, too. Although Prakash provided a full solution set, I thought I would sketch a pedantic treatment of question 5. One of the best tools from theory of computing is showing that potentially distant seeming languages or even models of computation actually have the same or similar complexity. The regular languages serve as a microcosm to learn and hone these tools. When you first see the boringly serial finite state machines presented, a natural question is: what if I run two DFAs in parallel, is that still a DFA? Well, pedantically no, it doesn’t match the definitions, but in reality — yes, we just have to be more precise.